The Superb is one of the most accomplished cars in its class. Not only does it remain true to Skoda’s value for money principles, but it also surges ahead of the competition when it comes to family car quality and refinement. The interior is huge too, which means it outperforms many SUVs for everyday usability. 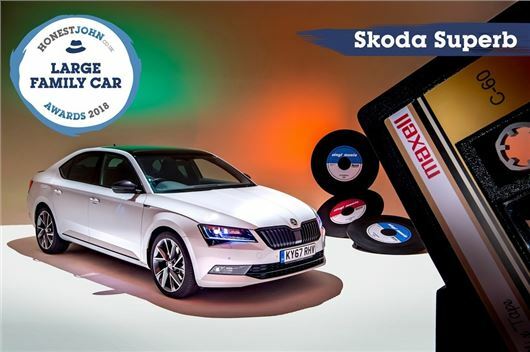 Dan Powell Managing Editor of HonestJohn.co.uk said: "To take the Large Family Car of the Year award for the second time in succession is a fantastic achievement and testament to the Superb’s unwavering popularity with our readers. Affordable and upmarket, the Skoda Superb sets the standard by which all other large family cars should be judged."